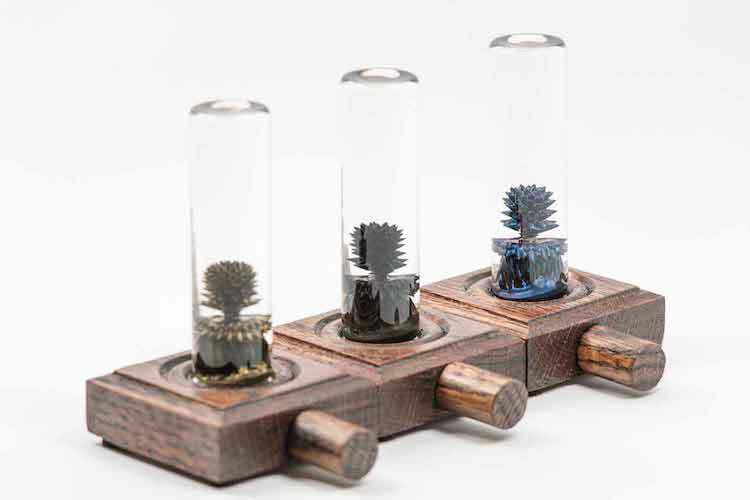 Artist Nicky Nada of CZ Ferro has created the Nano Tree, an elegant red oak wood and glass sculpture filled with semi-solid magnetized ferrofluid that comes with a matching magnet to move the fluid around the glass. While the Nano Tree may look good on a desk or bookshelf, the use of the magnet along the side of the glass can also serve as a relaxing form of stress release. The sculpture comes in three different colors and can be purchased via the CZ Ferro website.